This is the seventh blog in a new series of posts about the NTSB’s general aviation investigative process. This series, written by NTSB staff, explores how medical, mechanical, and general safety issues are examined in our investigations. But more often, they tell us that they didn’t say anything to the pilot or FAA. Sometimes, the pilot was a friend whom they didn’t want to embarrass or cause any trouble. Personally, as a fellow pilot, I can understand the concerns. But what if you see something, and don’t step up and say something? The reality is that nonreporting can put people at risk. As one FAA inspector told me, “We can’t investigate what we don’t know.” If a complaint was made via the FAA Hotline, the FAA would be obligated to investigate. Remember, you may not only save the life of another pilot but also an innocent passenger or bystander. The NTSB, unfortunately, has seen the tragic consequences of turning a blind eye to a known hazard. I have seen accidents that have occurred in someone’s front yard, skimmed the roof of an apartment building, or crashed near a school. If the airplane had impacted just a few yards in either direction, the damage and loss of life could have been so much worse. This was the case in an accident I investigated where the pilot lost control of the airplane, crashing into a front yard just feet from an occupied house. Thankfully, there was no fire, and no kids were playing in that front yard. Within moments of arriving on scene and being debriefed by law enforcement, I was handed a witness statement. Very quickly, I realized the witness was quite credible—and what he had to say about the pilot was alarming. The pilot had a known history of reckless behavior. Further investigation revealed that people knew of the pilot’s behavior but didn’t want to report him for several of the reasons I mentioned above. Not surprisingly, the FAA had no negative history on the pilot. He had a clean record and was never on their radar. Sadly, in this accident, the pilot and his innocent passenger died. But what if he had other passengers onboard? What would have happened if he had crashed into the house, or, worse, a crowd? A colleague of mine investigated an accident where a pilot was flying an airplane he was not rated to fly, in instrument conditions without holding an instrument rating. The pilot had recorded numerous notes in his logbook that provided compelling evidence of his own unsafe flying, by his own admission. The pilot noted landing on a major highway and flying low over a crowd during parades. He was also known for unsafe low-level flights over airshows and having a general disregard for proper communication procedures. Yet nothing was done about his behavior; people turned a blind eye to it. Tragically, the pilot and three occupants died in the accident when the airplane encountered instrument meteorological conditions and impacted terrain. In the big scheme of things, we need to ask ourselves, who are we really protecting by keeping quiet? As active pilots, mechanics, airport personnel, friends, and family members, you are the eyes and ears to what’s going on out there. You know your airport and the people who use it. You know when your friend or family member seems risky or unsafe. If you identify a hazard, then speak up. Or, file a report with the FAA Hotline. Just remember, we all share the same airspace or may be nearby if their plane crashes. Stay safe and don’t turn a blind eye! Leah Read is a senior air safety investigator in the NTSB Office of Aviation Safety. This is the sixth blog in a new series of posts about the NTSB’s general aviation investigative process. This series, written by NTSB staff, explores how medical, mechanical, and general safety issues are examined in our investigations. The public’s image of our agency is often based on the iconic blue and yellow NTSB jacket they see at accident scenes. What’s less well known is that examining and documenting on-scene evidence is just one step in an exhaustive process to gather all available information, determine a cause, and recommend any changes that can prevent similar accidents. Since 2014, 12 percent of general aviation accidents—about three accidents every week—have involved a power plant malfunction. These malfunctions may include a fuel issue, component failure, or improper maintenance. As an NTSB air safety investigator, I investigate such mechanical malfunctions, gather the facts of the investigation, and ultimately help determine the probable causes of accidents. After the on-scene phase of the investigation is complete, the airplane wreckage is often recovered by professional recovery services and stored in a secure location until we determine if further NTSB investigation is needed. When circumstances, such as a large hole in the engine crankcase or the in-flight loss of a propeller, indicate that further examination is necessary, we work with the airframe, engine, and component manufacturers. These entities serve as parties to our investigation, providing technical expertise on their product. If required, we coordinate a follow-up plan to examine the aircraft wreckage in greater detail. At the accident scene or recovery facility, our investigators examining the machine determine the scope of follow-up based on any anomalies discovered. In some accidents involving a reported loss of engine power, the initial examination (typically a 100-hour inspection) turns up no obvious anomalies. At this point, one of the best and most telling follow-up activities is to attempt an engine test run. Engine test runs may be performed at a recovery facility or at a manufacturer’s facility. A successful engine test run is a critical piece of information that may lead the investigation down another path. When, upon initial examination, the investigator observes an engine issue consistent with an internal mechanical failure, it’s typical to disassemble the engine at the manufacturer’s facility or the recovery facility under NTSB supervision. Examining an engine at the manufacturing facility often provides the advantage of having available engineering staff, historical data and drawings, and proper test equipment for the engine components. Once at the manufacturer’s facility, the investigation team (typically including NTSB, FAA, and airframe, engine, and component manufacturer personnel) determines the plan or approved test procedure for the detailed investigation. The scope of the investigation is determined based on the known facts and circumstances of the accident, the condition of the engine and components, and the work required to confirm the failure. It’s important to note that, although the parties work collaboratively, the NTSB has the final say if there is any disagreement in the investigation process. Engine functional testing, partial disassembly, and full engine disassembly are the most common investigation techniques used to determine the cause of a failure or malfunction. Disassembly helps us identify fractured or broken parts, which are then documented and set aside for even further examination. Most manufacturers have their own materials laboratory, metallurgists, and engineers. At this point and with the team present, our investigators may elect to use the manufacturer’s material laboratory for a preliminary examination to obtain a quick analysis of the failure mode, then forward the parts to our materials laboratory in Washington, DC, for a detailed metallurgical examination. Even observers with a solid understanding of our processes beyond the on-scene images might not understand the many ways that NTSB investigations can improve safety. Even when all signs point to a mechanical malfunction, our investigative process still looks at two other factors: human and environment. When an accident involves reported loss of engine power, we gather information about the pilot and aircraft owner—documentation from the scene, aircraft records, and Federal Aviation Administration (FAA) records. 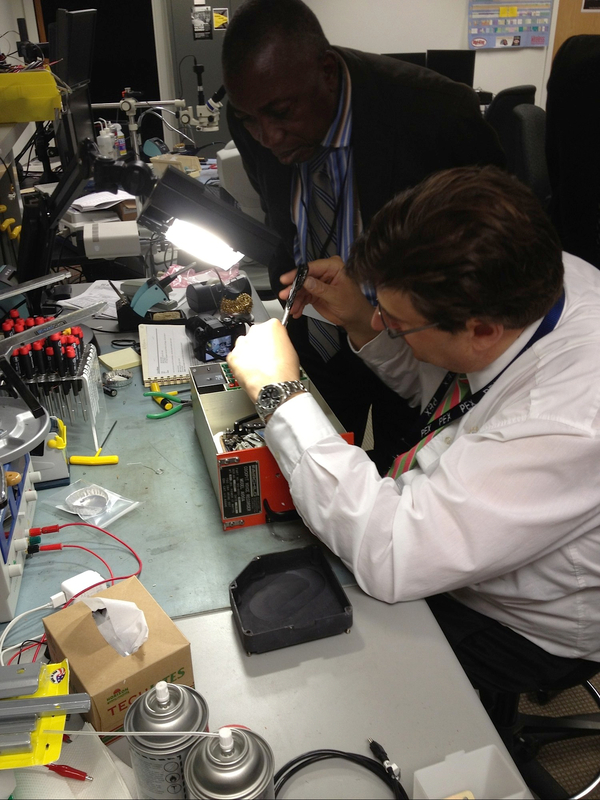 We interview witnesses, visit and examine maintenance facilities, and meet with manufacturers. When necessary, we conduct follow-up examinations and interviews. If FAA inspectors handle the initial on-scene observations, we work hard to guarantee that our two agencies communicate effectively. When the fact-gathering phase of the investigation is complete, our investigators compile all the relevant factual information, complete a detailed factual report, and create a public accident docket. For an engine failure accident, the docket may include engine reports, materials laboratory reports, aircraft records, and historical engine safety information in the form of service bulletins and airworthiness directives. Many people understand that we may make recommendations at any point during an investigation, but sometimes our investigations also result in other actions to improve safety. For example, depending on the nature of the material failure, an NTSB investigator may work with the FAA or the manufacturer to issue a manufacturer service bulletin, service letter, safety notice, or a potential airworthiness directive. The safety action taken by the FAA or manufacturer depends on the failure’s cause, fleet exposure, and the potential safety awareness benefit of each product. Over my 17 years as an NTSB investigator, I’ve investigated numerous engine-failure–related accidents that resulted from human error and material failure. Despite the varied causes and outcomes of these accidents, one fact stands out: proper maintenance is the best way to avoid catastrophic consequences. Following manufacturer-recommended maintenance practices and procedures and adhering to basic maintenance principles can prevent accidents. Remember: SAFETY is NO ACCIDENT! All accident reports and public accident dockets are available on the NTSB website: www.ntsb.gov. This is the fifth blog in a new series of posts about the NTSB’s general aviation investigative process. This series, written by NTSB staff, explores how medical, mechanical, and general safety issues are examined in our investigations. After nearly 20 years of investigating hundreds of aviation accidents, I recently encountered an invisible killer. I was enjoying a late summer Saturday afternoon with my wife in Anchorage, Alaska, when my phone rang. My wife – a 20-year-veteran NTSB spouse – knew from the look on my face that our quiet weekend at home had just ended. An Anchorage Fire Department dispatcher was calling. She reported that rescue crews were on the scene of a fatal airplane crash in a residential neighborhood only 20 minutes away. crews. Behind the wall of fire trucks, police cars, stunned residents, and TV cameras, I caught a glimpse of the inverted and burned remains of what looked like a float-equipped Piper 11 in the middle of the residential roadway. We continued to talk as we walked toward the wreckage site. The pungent smell of burned aircraft wreckage filled the air as we proceeded past the yellow police tape. Finally, I was close enough to see that only the welded steel-tube structure and engine remained, with the fuselage and wings barely recognizable. The postcrash fire had incinerated much of the wreckage. Witnesses had told the police that just before the accident they watched in amazement as the airplane completed two, low-level, high-speed, 360° right turns over the neighborhood – the first 150-200 feet above ground level, and the second much lower. One homeowner stated that the airplane passed over his home about 50 feet above his roof. Witnesses also reported that the airplane’s bank angle increased significantly on the second 360° right turn; one pilot-rated witness estimated the bank at more than 60°. Witnesses also reported hearing the airplane’s engine operating in a manner consistent with high power settings throughout both 360° turns. One man was mowing his lawn as the airplane completed the second, steep, 360° right turn. He said that the airplane flew directly over his yard, then the nose of the airplane pitched down and it began to descend rapidly. The engine rpm then increased significantly, and the wings rolled level just before the airplane impacted a stand of tall trees adjacent to his home, severing its floats. It crashed on a neighborhood road, coming to rest inverted. About 30 seconds after impact, a fire ensued, which engulfed the entire airplane before any of the witnesses made it to the wreckage. Sadly, after the fire department crews extinguished the fire, they found the remains of the 75‑year-old pilot and his dog still inside the incinerated wreckage. While we all waited for the medical examiner to arrive, I began interviewing witnesses. Most concluded, or were well on their way to concluding, that the pilot was “just showing off” to someone on the ground. But the NTSB sets a high bar for conclusions. It was way too early for me to go there. At the scene, I met a family member, along with a close friend of the pilot. Understandably upset, both reported that it was highly unusual and uncharacteristic behavior for the pilot to be flying as the witnesses consistently described to me. They went on to say that to their knowledge, the pilot didn’t know anyone in the area, but that, given the pilot’s anticipated flight route, he would have been flying over the neighborhood while on the return flight home. Then, as the pair was preparing to leave the scene, the pilot’s friend said something in passing – something about his longtime buddy’s history of cardiac problems, which, in his opinion, caused the pilot’s erratic flight maneuvers. I pressed him for more information, but it became clear that he wasn’t prepared to provide any additional information on the subject then and there, and I decided that this was neither the time or place to discuss it. As the pair got back into their car and slowly drove away, I knew that the following Monday morning I’d likely be attending the pilot’s autopsy. For now, I needed to document and examine the wreckage before it was removed. This included determining control cable continuity to the flight control system, engine control continuity, and more. The engine sustained significate impact damage, but only minimal fire damage. There were no mechanical problems that I could find on-scene that would explain what the witnesses reported. However, a much more detailed wreckage exam would be accomplished later, once the wreckage was moved to a more secure and suitable site. On Monday morning, I found myself at the State medical examiner’s facility, meeting with the pathologist who would be working my case. I explained to her what I was looking for, and she started the exam. The entire autopsy took over two hours to complete, and the pathologist found no conclusive evidence for medical incapacitation from an acute cardiac event. However, per standard protocol, the autopsy team took blood and tissue samples to send to the FAA’s Bioaeronautical Sciences Research Laboratory in Oklahoma City for a toxicological exam. I knew I would not have the tox report for two to three months, but the autopsy yielded at least one more piece of valuable information: the pilot died from trauma, not the postcrash fire. Unbeknownst to me at the time, this would be an extremely important data point that would help solve the case in the end. Over the next two weeks, I visited the wreckage two separate times at a local aircraft salvage yard. I looked for evidence that would support various theories, but nothing ever panned out. It was one dead end after another. Then on a cold and snowy autumn afternoon, the FAA’s tox report on the pilot appeared in my e-mail. I opened it and scanned the results, and only then realized just what I had been missing all this time: Carbon Monoxide, an odorless, colorless and tasteless gas – and a silent killer of general aviation pilots. The pilot’s carboxyhemoglobin (carbon monoxide) level was an extremely high 48%. To put these results in context, nonsmokers may normally have up to 3% carboxyhemoglobin in their blood, and heavy smokers may have levels of 10% to 15%. And according to family members, this pilot did not even smoke. Since the pilot died of blunt-force trauma prior to the ensuing fire, it was not possible that this CO level was an effect of the fire. But it was possible that it was a cause of the crash. I realized that over the last few months I had missed an important and somewhat elementary piece of evidence, the airplane’s exhaust system. I quickly reviewed my on-scene photos, and I could clearly see that the entire exhaust system sustained relatively minor damage in the accident. Within 15 minutes of receiving the toxicology results, I was on my way back to the stored wreckage. I ended up bringing the entire exhaust system back to the office, muffler, heat exchanger/muff and all. Like the autopsy examiners I had met months earlier, I went to work on this simpler machinery, peeling back the heater shroud. Inside I found a severely degraded muffler with portions missing, which allowed raw exhaust gases to enter the main cabin through the airplane’s heater system. Unfortunately, neither the family or any of the pilot’s friends could find any maintenance logbooks for the accident airplane, so I was unable to determine just when the last muffler inspection was done (if ever). However, after talking with several friends of the deceased pilot, many said that he did his own maintenance, and he was not an aviation mechanic. They went on to say that the pilot, with the help of a few other friends, installed the more powerful Lycoming O-320 engine about 5 years earlier, but none could provide any additional information about how the pilot maintained his airplane. However, I could report directly to the family what circumstances led up to the death of their loved one, and I was able to show them the physical evidence that I found. Often, it takes time, patience, and knowledge of the human operator, the machine, and the environment to solve an accident mystery to provide answers. Do We See and Avoid or Avoid Seeing? This is the fourth blog in a new series of posts about the NTSB’s general aviation investigative process. This series, written by NTSB staff, explores how medical, mechanical, and general safety issues are examined in our investigations. 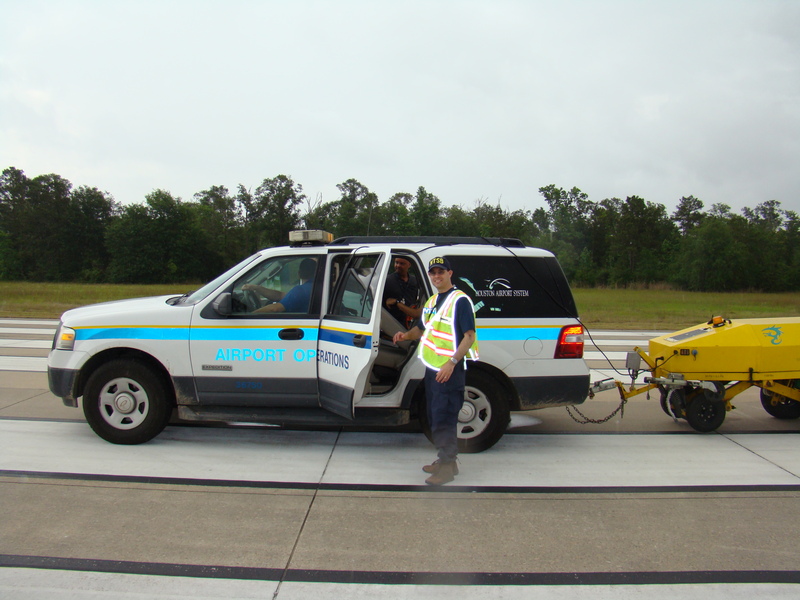 John O’Callaghan at a runway friction test in Conroe, TX. As a National Resource Specialist for Aircraft Performance, which is government-speak for a technical expert in the aerodynamics and flight mechanics of aircraft, I work to determine and analyze the motion of aircraft and the physical forces that produce that motion. In particular, following an accident or incident, I attempt to define an aircraft’s position and orientation during the relevant portion of the flight, and determine its response to control inputs, external disturbances, ground forces, and other factors that could affect its trajectory. The video from the camera mounted over my left shoulder reveals a hazy blue sky above and the Potomac River winding lazily below the Citabria’s plexiglass windows. It shows my head dutifully swiveling as I scan the practice area for traffic in preparation for a series of aerobatic maneuvers intended to test a prototype “portable flight data recorder” developed by a friend of mine. I’m flying in the Washington, DC, Special Flight Rules Area so I’m in contact with Potomac Approach, which helpfully keeps a radar’s eye on me and nearby traffic and conveys what I fail to see. Images captured on the cockpit video during the testing of a video recording device in a Bellanca Citabria. I’m still looking with no success when Potomac advises that the Cherokee is at 2,200 ft. The controller lets me and the Cherokee pilot know that we are getting close to each other. The video now shows me craning my neck left and right, leaning forward, scanning the entire symmetrical view offered by an airplane with its seats on the centerline. The airplane banks left and right in gentle turns as I maneuver, trying in vain to spot the Cherokee. A little over 3 minutes after Potomac’s initial advisory, I give up. I don’t know if the Cherokee pilot ever saw me, but if he did, he didn’t announce it. I imagine that most general aviation pilots don’t need to accumulate too many hours before they have an experience much like mine, or its more unnerving inverse: suddenly seeing an airplane that you had no clue about whiz by close enough to read the N-number. Both situations point to the inherent limitations of the “see-and-avoid” concept: the foundation of collision avoidance in visual meteorological conditions (VMC) under visual flight rules (VFR). My flight was a personal one, unrelated to my duties as an aircraft performance engineer at the NTSB. However, my fruitless search for the Cherokee was consistent with conclusions the NTSB has drawn from investigating a number of midair collisions, and which call to mind what can happen when traffic remains unnoticed. As detailed in the NTSB reports concerning two midair collisions that occurred in 2015, described further below, the see-and-avoid concept relies on a pilot to look through the cockpit windows, identify other aircraft, decide if any aircraft are collision threats, and, if necessary, take the appropriate action to avert a collision. There are inherent limitations of this concept, including limitations of the human visual and information processing systems, pilot tasks that compete with the requirement to scan for traffic, the limited field of view from the cockpit, and environmental factors that could diminish the visibility of other aircraft. In a collision between an F-16 and a Cessna 150 near Moncks Corner, South Carolina, in July 2015, the F-16 pilot was unable to spot the C150, even though the Charleston Approach controller had alerted him to the presence of the airplane. The F-16, call sign “Death41,” was flying under instrument flight rules and communicating with air traffic control (ATC); the C150 was flying under VFR and not communicating with ATC. Even before the controller finished her last instruction, the F-16 had begun a standard-rate turn to the left. The F-16 was heavy and, at 240 knots, moving relatively slowly—for a fighter jet. Contrary to what one might think, it could not turn much faster in those conditions. Twenty-three seconds after the controller’s last instruction, the F-16 and the C150 collided at about 1,470 ft above the Cooper River. The crippled F-16 flew for another 2.5 minutes before the pilot ejected safely, and the jet subsequently crashed. The C150 crashed almost directly beneath the collision site, and both the pilot and his passenger died. We determined the probable cause of this accident was the approach controller’s failure to provide an appropriate resolution to the conflict between the F-16 and the Cessna. Contributing to the accident were the inherent limitations of the see-and-avoid concept, resulting in both pilots’ inability to take evasive action in time to avert the collision. Midair collisions can happen even when both aircraft are in communication with ATC. A month after the Moncks Corner midair collision, a North American Rockwell Sabreliner collided with a Cessna 172 in the busy traffic pattern at Brown Field in San Diego. Both aircraft were under Brown Tower’s control and on a right downwind for runway 26R, with the Sabreliner outside of and overtaking the C172. The tower controller intended to instruct the C172 to perform a right, 360-degree turn to position him behind the Sabreliner; however, he mistakenly instructed a different C172 to perform the maneuver, and immediately after instructed the Sabreliner to turn right base. The Sabreliner and C172 subsequently collided, and all five people on the two aircraft died. The cockpit voice recorder on the Sabreliner indicated that both Sabreliner pilots were aware of and concerned about the busy traffic pattern, pointing out other aircraft to each other. One of the nonflying crew in the back of the plane is even heard asking, “see him right there?” presumably referring to traffic. Yet the collision still occurred. We determined the probable cause of the accident was the local controller’s failure to properly identify the aircraft in the pattern and to ensure control instructions provided to the intended Cessna on downwind were being performed before turning [the Sabreliner] into its path for landing. Contributing to the accident were the inherent limitations of the see-and-avoid concept, resulting in the inability of the pilots involved to take evasive action in time to avert the collision. My role in the investigations of the Moncks Corner and San Diego collisions was to reconstruct the motion of the airplanes based on radar data and other information, and to evaluate the resulting visibility of each aircraft from the cockpit of the other. In addition, it was my job to evaluate how new collision avoidance technology—such as cockpit displays that provide a radar‑like view of surrounding traffic based on automatic dependent surveillance-broadcast (ADS-B) information—could have averted each accident. One objective of these visibility studies was to determine whether either of the airplanes involved in the collision were obstructed from the other pilot’s field of view by cockpit structures, or whether the pilots had an unobstructed view of each other but simply failed to see one another (because seeing other traffic from the cockpit is hard!). To find out, we measured the geometries of the window and other structures of exemplar airplanes with laser-scanning equipment, and the resulting measurements were used to determine where the windows were in each pilot’s field of view and whether the other airplane appeared within the windows or not. The results were most intuitively presented by creating computer animations of the collision from the point of view of each pilot using flight simulation software (Microsoft Flight Simulator X) to create the outside scenery and airplane models. Readers can also watch animations of cockpit display of traffic information (CDTI) displays for each of the airplanes involved in these midair collisions. The animations depict the information that these radar-like displays, fed by ADS-B, could have presented to the pilots involved. Had the airplanes been equipped with CDTI, the pilots could have been made aware of the presence and relative locations of the conflicting traffic minutes before the collisions. In general, the timely and information-rich traffic picture offered by a CDTI can greatly improve a pilot’s ability to detect traffic threats and avoid a collision without aggressive maneuvering. We issued a safety alert, titled, “Prevent Midair Collisions: Don’t Depend on Vision Alone,” to encourage pilots to learn about the benefits of flying an aircraft equipped with technologies that aid in collision avoidance. Much of flying is an exercise in mitigating or engineering out risk. Pilots are trained, examined, and reviewed; aircraft are certified and maintained; checklists are used; flights are planned; weather is studied. Great effort is made to leave little to chance. However, when it comes to collision avoidance in VMC, we wink at risk management (“see-and-avoid!” “Keep your head on a swivel!”), when the reality is that we rely in great measure on luck. It’s a big sky, and it would be hard to hit somebody if you tried. The odds are against a collision, but on occasion, disaster strikes. Technologies such as CDTI provide rational risk reduction for the VMC collision avoidance problem. Guardian angels will never lack for work, but tools such as CDTI can help us to make their jobs a little easier. This is the third blog in a new series of posts about the NTSB’s general aviation investigative process. This series, written by NTSB staff, explores how medical, mechanical, and general safety issues are examined in our investigations. Dr. Tuccio (seated) assists with the disassembly of a cockpit voice recorder. I joined the NTSB in 2010 as a recorder investigator in the Vehicle Recorders Division. I work to recover “1s and 0s” from electronics, including cockpit voice and flight data recorders (aka “black boxes”) and video sources. As a recorder investigator, I work early in the investigative lifecycle to create factual reports of electronic data: if it might record something and has a green board or a little chip, we’re interested. My formal training and experience is in aeronautical engineering, aviation, computer/database/iOs programming, and conversation analysis. I’m also a flight instructor, former regional airline captain, and aircraft owner. Through my work on more than 400 NTSB investigations and my 30 years as a flight instructor, I’ve had some incredible moments, but my most memorable is soloing my son in our tailwheel Maule on his 16th birthday. We enjoyed the usual fun so many pilots experience on soft fields, and it was a success. Now, about 10 years later, my son is a certified flight instructor-instrument (CFII) who has taught his own students. Soft fields are fun, but they also carry risks that pilots have to manage. The FAA Airman Certification Standards (ACS) for private and commercial pilots include soft-field takeoffs and the separate (but arguably related) short-field takeoffs. What do soft and short fields have to do with readouts of recorded data? Normally, nothing. When something goes wrong, however, the data can sometimes help piece together the story. 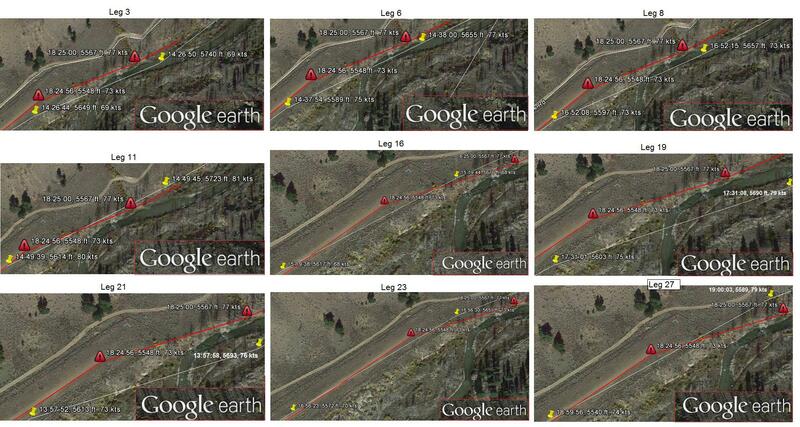 I recovered data from electronic devices in two soft-field investigations. Unfortunately, there were no survivors in either accident, but these fatal crashes highlight some of the risks noted in the ACS. 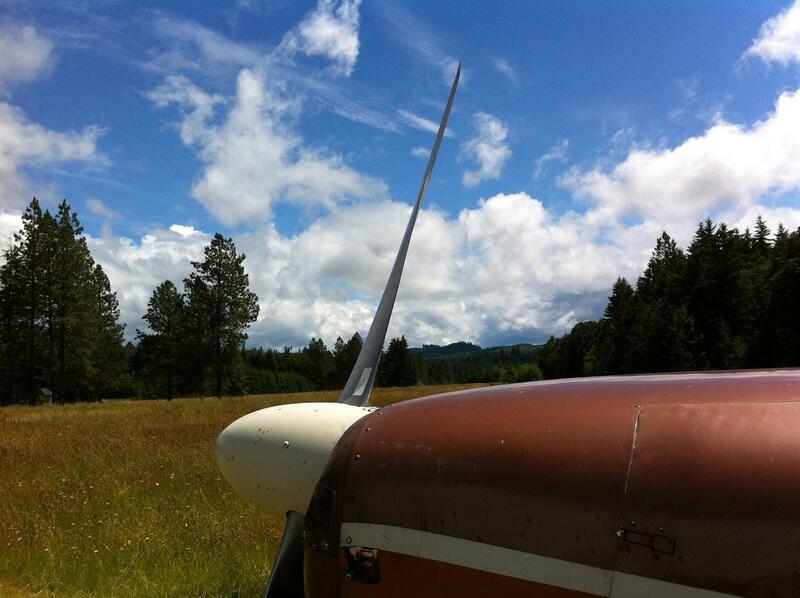 The first case involved a 1956 Cessna 172 in Veneta, Oregon, with four people on board. The airplane was just below gross weight and within center-of-gravity limits. According to other investigative information, the grass of the 3,200-foot runway was mowed to about 3 inches in height and was damp from a prior rain shower. I was given an iPhone recovered from the passenger in the right front seat. It yielded some photos of the pilot and passengers before boarding and a video of the first 23 seconds of the accident flight. Below is a picture taken before boarding, showing the accident airplane with the runway environment behind. The tall grass immediately apparent in the photo obscures the runway, which is further in the background. This photo was useful to corroborate the weather conditions at the time of the accident. Picture taken before boarding showing the runway environment. The 23-second video also helped. It began when the aircraft was on its takeoff roll. We worked with the raw video as recorded, rather than subject it to labor-intensive postprocessing, which is sometimes necessary to stabilize the constantly shifting camera angle of an iPhone video. One significant feature of the video was that from the 15-second mark until the end of the recording, we could hear a sound similar to the stall warning. Some partial views of the instruments supported other evidence indicating that the engine was operating properly. When combined with other investigative evidence, the NTSB determined the probable cause of this accident was “The pilot’s failure to maintain adequate airspeed and altitude to clear trees during takeoff initial climb.” (You can access the detailed factual reports here: https://go.usa.gov/xRGGe.) I often use this case while teaching students about soft- and short‑field takeoffs to emphasize the ACS risks of collision hazards, including aircraft, terrain, obstacles, and wires; low altitude maneuvering, stall, and spin; and runway surface conditions. The second soft-field/short-field case that rested (in part) on my work with recorded data was the crash of a 1977 Cessna T210M in Challis, Idaho, also with four people on board, loaded to 3,551 pounds (maximum gross weight for this plane was 3,800 pounds) and within center-of-gravity limits. According to other investigative information, the 5,500-feet mean sea level airport had a 2,500‑foot turf/dirt runway, with an estimated density altitude during the accident of 6,046 feet. Because of terrain features, pilots generally landed on runway 22 and departed on runway 4. The accident flight was departing on runway 4. Two significant electronic devices were recovered from this accident: a JPI EDM-700 engine monitor and a Garmin GPSMAP 496 portable GPS device. Both have recording capabilities, but each sustained impact and postimpact fire damage requiring chip-level data recovery. 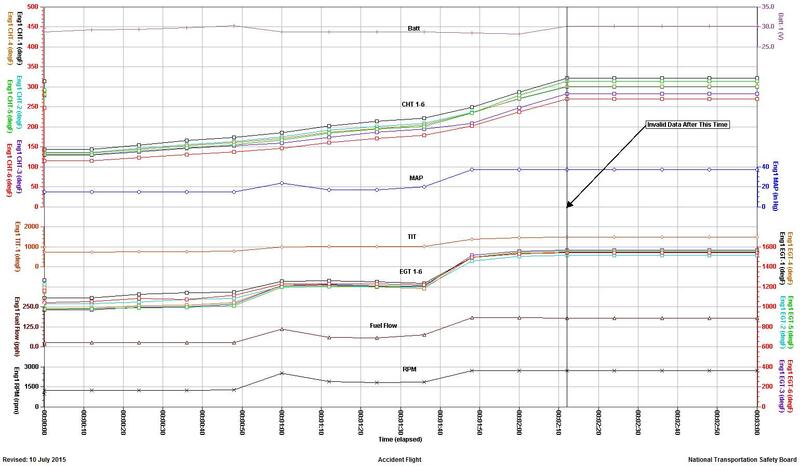 The figures below show the JPI EDM-700 and Garmin 496 chips that were recovered. 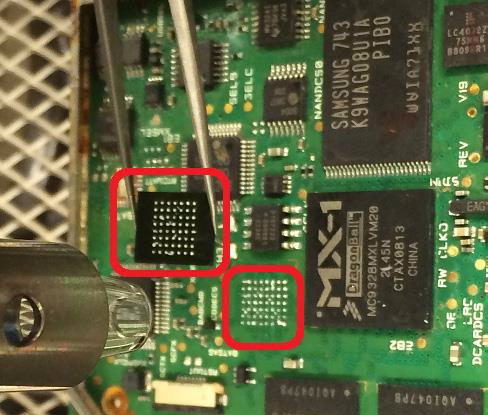 Using tools in our lab, we removed the chips and cleaned them up. 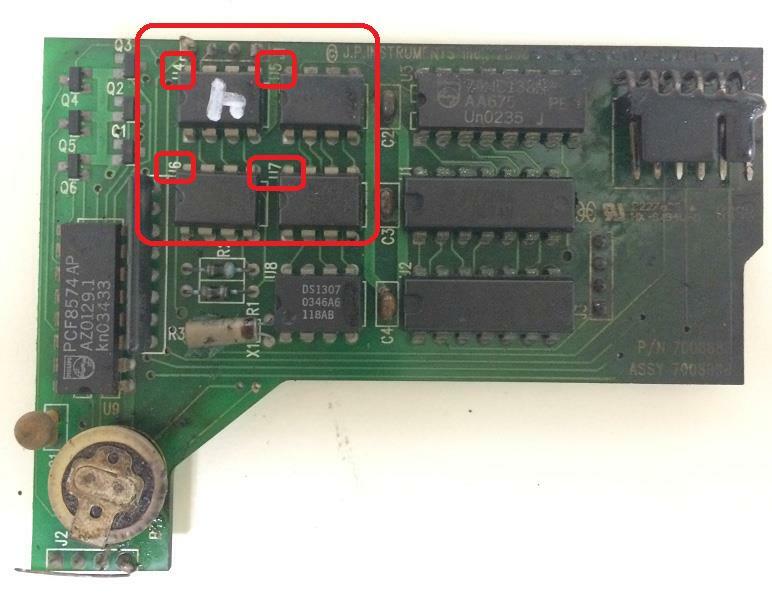 We then “imaged” the chips (that is, created a file of all the 1s and 0s on the chip) using a commercially available chip programming device. Our frequent experience with the JPI EDM-700 and Garmin 496 contributed to our efficient data extraction from the binary image to produce useful engineering data. In this case, the JPI EDM-700 recorded the takeoff and supported other investigative information showing that the engine was functioning properly. As you can imagine, when working with recovered avionics, data can be confusing; in this case, the end of the recording had unchanging data. By comparing the accident takeoff data with a prior takeoff, combined with our prior knowledge of the EDM-700 recording logic, we were able to attribute the unchanging data to invalid data after the aircraft had crashed. The Garmin 496 recorded the accident flight and 49 prior flights. Although the accident flight was undoubtedly helpful to the investigation, we also decided to compare the accident takeoff to nine prior takeoffs on the same runway, considering groundspeed and lateral path. The accident flight differed from all prior flights in that prior flights proceeded to the right of the accident flight’s trajectory near the departure end of runway 4. Investigators worked with Cessna to calculate the takeoff performance. With no wind, to clear a 50-foot obstacle, the airplane would need 2,231 feet of runway. With a 5-knot tailwind, the airplane would need 2,677 feet. The actual distance from the start of the takeoff roll to the point at which the aircraft struck the first 50-foot tree was 2,625 feet. As Mike Hart wrote in AVweb, “If the calculated length of the field is less than the number calculated from the POH, don’t even think about turning your prop. An obvious accident is avoided.” He goes on to add, if the calculated distance is at all close, check your math and your assumptions. Pilot technique and aircraft condition are just two factors that can make a world of difference. The electronic devices you use when you fly can increase your situational awareness and enjoyment. Some devices empower you to check historical engine trends and identify mechanical issues early. And, in the relatively rare cases when things go wrong, we can use this electronic information­—all those 1s and 0s—to dig deeply into what went wrong and how, and help avoid a similar outcome in the future. 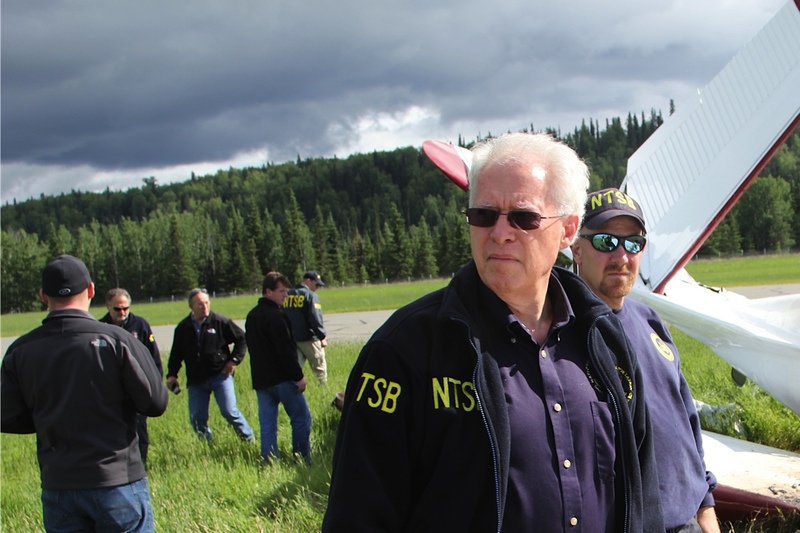 This is the second blog in a new series of posts about the NTSB’s general aviation investigative process. This series, written by NTSB staff, explores how medical, mechanical, and general safety issues are examined in our investigations. The NTSB investigates every aviation accident in the United States. In each investigation, we look at the roles of the human, the machine, and the environment. By learning about the factors that cause an accident, we can make recommendations to prevent similar accidents in the future. I am one of two medical officers (physicians) at the NTSB who work closely with investigators in all modal offices. When an investigator-in-charge (IIC) is concerned that operator medical issues, drugs, or toxins may have affected performance, he or she coordinates with us to study the medical aspects of the event. The medical officers review medical documents, toxicological testing results, and sometimes autopsy reports of those involved in accidents. In conjunction with the investigative team, we help determine if operator impairment or incapacitation contributed to the cause of the accident, then we help craft language to explain to the public the nature and significance of the medical issues and how they affected the operator and contributed to the accident’s cause. We also work closely with the Board’s biodynamics and survival factors experts to help evaluate accident-caused injuries and determine what changes could be made to prevent future injuries. The resulting information is presented in a medical factual report, which documents all pertinent medical issues and any potential hazards that the medical issues posed. To ensure accuracy, these fact-based scientific reports are peer reviewed by the investigative staff before they are published as part of the public docket. The medical, factual, and operational details of each event are then analyzed by the investigatory team, which determines probable cause by consensus, peer review concurrence, and Board authority. The probable cause represents the most likely explanation for the event given all available evidence. Two recent cases have garnered some attention in the general aviation (GA) community, both involving fully functional airplanes operating in manageable weather. In these cases, both pilot action (error or impairment) and pilot inaction (incapacitation) can lead to an accident. In these cases, we found that the pilots were operating in a relatively low-workload environment and had the skill and experience necessary to safely complete the flights. On the other hand, medical data showed that both pilots had severe heart issues that could cause sudden incapacitation without leaving a trace. The first accident occurred on April 11, 2015, when an experimental Quad City Challenger II airplane crashed into terrain near Chippewa Falls, Wisconsin. The 77-year-old pilot died and the airplane was substantially damaged. The pilot had the skill and experience to operate the airplane in visual conditions. According to witnesses, while the airplane was on the downwind leg of the traffic pattern at the pilot’s home airport, it entered a steep dive that continued until it struck the ground in an open field. Investigators found no evidence of preexisting mechanical concerns and, based on the propeller damage, determined that the engine was producing power at impact. Operational evidence also strongly supported pilot incapacitation. The pilot had a history of coronary artery disease, which was treated by multivessel bypass surgery. He also had high blood pressure, elevated cholesterol, and hypothyroidism, which were controlled with medications. The autopsy showed that the pilot had an enlarged heart; severe multivessel coronary artery disease (greater than 80-percent occlusion of all vessels), with coronary artery bypass grafts and complete occlusion of two bypass vessels; scarring of the ventricular septum, indicating he had had a previous heart attack; and active inflammation of the anterolateral wall of the left ventricle of his heart. These findings, particularly the large scar and active inflammation of the heart muscle, placed the pilot at high risk for an irregular heart rhythm, which can easily cause decreased blood to the brain and result in fainting without leaving further evidence at autopsy. Additionally, according to the Chippewa County Coroner Death Report, the cause of death was blunt force trauma. However, the examining pathologist further stated, “the most likely scenario to explain [the pilot’s] death is that he suffered an arrhythmia secondary to myocarditis.” These findings are discussed in detail in the medical factual report. Based on the available evidence, we determined the probable cause of the accident to be the pilot’s incapacitation due to a cardiovascular event, which resulted in a loss of control and subsequent impact with terrain. The second accident of note was the crash into terrain of a homebuilt Europa XL airplane on June 26, 2015. As in the previous case, the pilot died and the airplane was substantially damaged. In this accident, the 72-year-old pilot also had the skill and experience needed to successfully complete the flight, especially given that it was a clear day and he was operating under visual flight rules. The airplane crashed under power in a steep, nose-down, slightly inverted attitude in an open field about a half mile from the end of the runway, slightly to the right of an extended centerline. According to the IIC, there was no evidence of preexisting mechanical concerns, the engine was operating at impact, and the operational evidence suggested pilot incapacitation. The pilot had a history of severe coronary artery disease, which was treated with multivessel bypass surgery, stents, and medication. Additionally, he had elevated cholesterol and high blood pressure, which were treated with medications. Since his last medical certification examination, an exercise stress test showed no significant changes, but a cardiac catheterization report documented that his coronary artery disease had progressed, resulting in 90‑percent occlusion of the left anterior descending coronary artery and impaired blood flow to a part of the heart muscle. Additionally, the autopsy identified multivessel coronary artery disease treated with patent coronary artery bypass grafts, and documented up to 70-percent occlusion of the left anterior descending coronary artery. These findings are discussed in detail in the medical factual report. The pilot’s severe progressive coronary artery disease and the impaired blood flow to an area of his heart muscle placed the pilot at high risk for an acute cardiovascular event such as a heart attack, anginal attack, or acute arrhythmia. Any such event would likely cause a sudden onset of symptoms such as chest pain, severe shortness of breath, palpitations, or fainting, and would leave no evidence visible on autopsy if death occurred in the first few minutes. The Mahoning County Coroner Autopsy Report cited multiple blunt force injuries as the cause of death, with coronary artery disease and chronic hypertension contributing to the cause of death. Again, although the pilot died of blunt force injuries, the evidence supports our finding that the accident sequence was likely initiated by his incapacitation due to a cardiovascular event. These cases illustrate how we integrate medical findings into our investigations. We also provide interested parties with links to publicly available, detailed information that supports our findings. In both of the cases described here, the medical factual reports document significant medical issues in pilots who were operating under sport pilot rules; however, we only determined the medically related probable causes after thorough, scientific, peer-reviewed analysis of all the available facts concerning the human, the machine, and the environment. Our goal is to identify medically related hazards that may be causal to or resultant from the accidents we investigate, and then work with the experts on the investigative team to develop mitigation strategies, which take the form of safety recommendations, that target and eliminate these hazards and improve transportation safety. 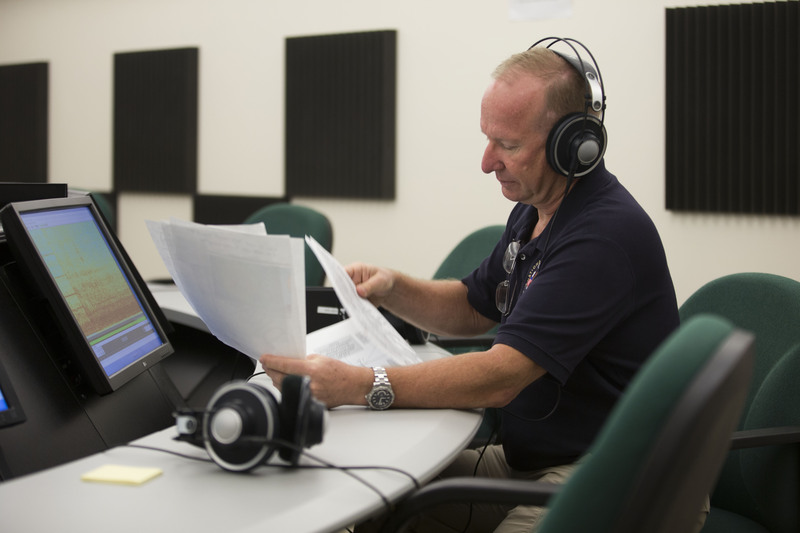 This is the first in a new series of posts about the NTSB’s general aviation investigative process. This series, written by NTSB staff, will explore how medical, mechanical, and general safety issues are examined in our investigations. I hope you take time to read these posts and, in doing so, come away with a greater understanding of the NTSB, our processes, and our people. It has been my ongoing honor and privilege to serve as a Member of the NTSB over the past seven years, and I’ve been impressed by the diverse professionals who make up the NTSB staff. They work in different modes—rail, highway, pipeline, marine, and aviation—and specialize in engineering, human factors, medicine, safety outreach, and recorders, to name a few, but they all share a common goal: to protect the traveling public through recommendations aimed at improving transportation safety. 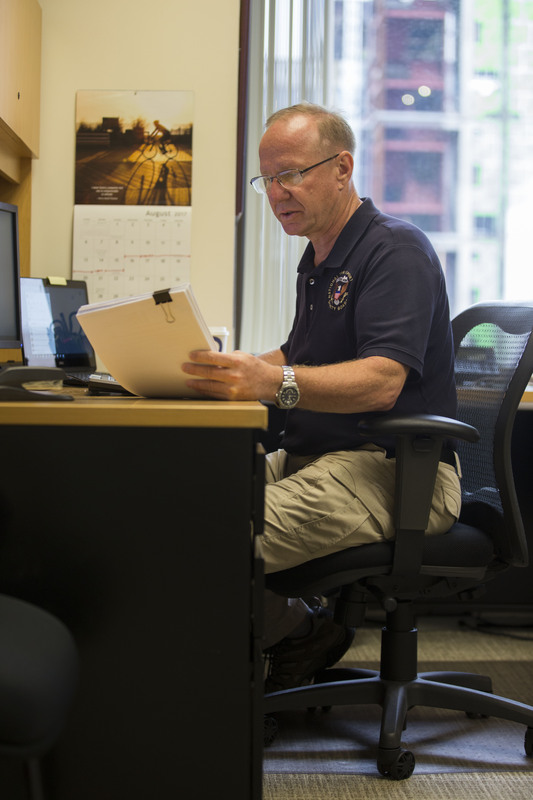 The NTSB is made up of approximately 430 dedicated employees who have a wide range of educational backgrounds and relevant experience. Our ranks include MDs, JDs, and Ph.Ds. Among our investigators, we count former members of law enforcement, industry professionals, and technical experts. When we investigate an accident, a multidisciplinary team is selected to fit the needs of the investigation. I’m often asked how the NTSB—particularly our crash investigation process—works. The NTSB is required by law to investigate every aviation incident in the United States, and our aviation safety staff investigate more than 1,200 aviation events each year. Our investigative process looks at three factors—human, machine, and environment—to determine the probable cause of accidents and incidents. This process has evolved during our 50 years, leveraging the skills, talents, and professionalism of our people, who use the latest investigative techniques and tools to find facts, analyze those facts, and determine why and how an accident happened. Investigators consider what may have caused or contributed to the events of every accident. They look for issues in areas such as mechanical failures, operations, and weather conditions. They doggedly work to recover all onboard recorders and other sources of data, even when those recorders may be severely damaged. They also consider pilot performance, collecting evidence regarding possible fatigue, medical fitness, prior training opportunities, and specific aircraft experience. Evidence is gathered through cooperation with pilots, witnesses, law enforcement officials, the FAA, airport officials, industry, and other stakeholders; in extreme cases, our staff can also issue subpoenas to obtain needed evidence. Investigations cannot and do not try to answer every question of why and how, but focus on questions of what caused the accident, or made it worse. Probable cause is the factor—or factors—that, based on all available evidence, the Board concludes most likely resulted in the accident. It generally takes around a year to produce a final report, which includes a probable cause and contributing factors. Based on our investigations and special studies, we issue safety recommendations to regulatory agencies, industry, and other parties to an investigation who are positioned to implement our suggestions and improve transportation safety. The NTSB isn’t a regulatory agency, so we cannot compel compliance with our recommendations; however, of the more than 14,500 safety recommendations issued in our 50-year history, more than 80 percent are acted upon favorably. This is testimony to the NTSB’s diligence, investigative acumen, and commitment to transportation safety. Looking back over the years and contemplating the NTSB’s contributions, I am proud to see that transportation safety has, in fact, improved greatly—especially in commercial aviation. We have seen significant improvements in aircraft crashworthiness; the introduction of life-saving technologies, such as collision avoidance and ground proximity warning systems; implementation of safety policies and regulations aimed at preventing pilot impairment, distraction, and fatigue; and emphasis on safety management systems and enhanced flight crew procedures. NTSB investigations identified the need for these advancements and helped incentivize remarkable safety improvements. Modern commercial aviation is safer now than ever before. I often quote author Douglas Adams, who tells us that people are almost unique in their ability to learn from others, but remarkable for their resistance to doing just that. You may have heard the old saying, “knowledge is power.” We believe “knowledge is safety.” I hope you take a moment to learn about the NTSB’s investigative process in the next several blog posts, and that you come away with a greater understanding of how we at the NTSB strive to turn our knowledge into safer transportation.